One of the key goals of The Designership is working with shift disturbers from inside and outside the norms of education. So what does that mean? What is inside? What is outside? What is the norm? What is education???? Holy smokes! Those are some seriously loaded questions! These are questions and definitions that we will try to define and create boundaries for throughout The Designership but for now here is what we are looking at. This is one of the biggest thorns in my side when it comes to being a part of the education conversation. I have participated in several community projects from concept to implementation, many of them with youth who spend a good amount of their time in a community organization or look to a community organization to help them in some way. Whether it be for a summer camp, after school program, job training program or anything in between. 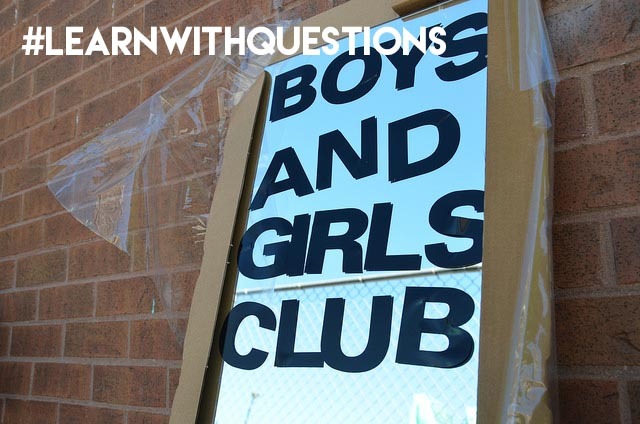 These community organizations could be well established like the Boys and Girls club or could be a start-up group filling in a unique niche in the community, either way their goal is to serve the community youth and help them thrive. Not unlike a school. And yet there is often a huge gap between these two stakeholders. One story in particular sticks out for me. I was at a school who was hosting an open house on a new community plan they had spent a few months developing. They were pretty proud of themselves for inviting parents, community organizations and others to a breakfast meeting to show off their new plan for connecting with the community. It was obvious that it was well intentioned but what came next was a testament to how community organizations feel about these kinds of events. After the principal had kicked off the event and breakfast was served, the community plan was shared and distributed. Some chit chat started to fill the room and then this comment happened. The comment came from a community development worker from a neighbouring community centre. She went on to explain that the youth from this school spent after school hours at the community centre and some even skipped school to come to the community centre during the day. It was their safe haven. It was a place they chose to go to. These sharp comments have always stood out to me as a clear divide between community and education. One that I think decreases the impact that both could be making together. Imagine if community and education were working together to tackle some of the most wicked challenges that face our young people today and tomorrow. The inaugural Designership will look at addressing the gap between community and education. And to do that, we need a variety of community voices and their intersection to education. In my work I have met so many talented community-based educators and this is a specific call to extend the application process. For applicants who can demonstrate community-based education experience with youth, for example organizing a camp, organizing a conference, developing a program or running a drop-in centre the deadline for applications is September 10. There are 3 FULL scholarships available.